We are a non profit youth mentoring organization for youth age 11-18 in the Los Angeles and surrounding areas (California). Our MISSION is to provide young ladies and men with an home away from home, providing them Life Skills to build positive relationships between family, school, friends, and their community. Studies have shown that when you have a strong support system that your chances are much higher for making more productive life long decisions. Our goal is to provide a positive environment where they can share experiences, learn, and grow into strong leaders. We want to be that added link to assist parents with raising their youth as they travel their journey into adulthood. 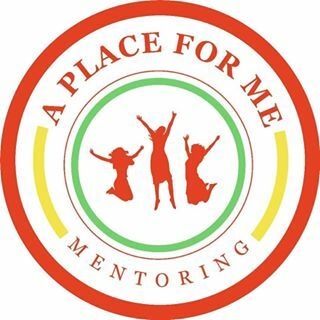 When I (the Founder of A Place For Me Mentoring Foundation) was in high school I remember having a student mentor and I remember saying to myself at that time, this is great. I had someone I could talk to, someone I could confide in, someone that would help me talk to my mom and give me moral support. I had someone I knew had my best interest and would not judge me on any level. She truly cared about me and how I was living my life and she wanted to give me the skills I would need to become the best that I could be as I took my journey into adulthood. Well that stuck with me and that was 10th grade It was at that time I decided to also become Peer Counselor. My passion to be there for other students was all I could think about. Someone helped me change my life and this was my time to help another youth. My mentee was great, actually she seemed like she was just like me. I loved the fact that I could help her with her life choices and give her guidance based off where I had been and what I had learned so she would not make the same mistakes. Fast forward to my young adulthood. I had my daughter and became apart of a program that assisted young mothers on how to stay motivated to stay on track and not get caught up. This was another turning point. BASICALLY LONG STORY SHORT. I loved when people helped me and I always felt like I could help youth as they take their journey. I have a lot to offer and YES I CAN BE A MENTOR! Giving back is one of the most priceless feelings in the world that you can have. Being able to share your knowledge and past experience and watch young ladies grow into beautiful young women right in front of you is PRICELESS. We all have something to offer our youth. As women we can always learn from one another. We are always looking for mentors or/and volunteers to join or help us. We are located in Inglewood and surrounding areas (California). Share this blog with your friends, family members, co-workers and more.